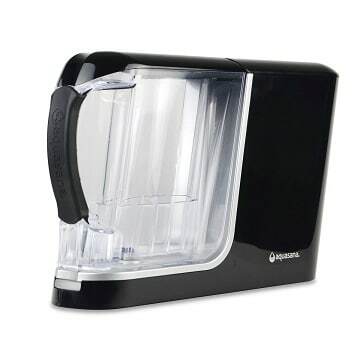 Pro grade Claryum® selective filtration in the convenience of a pitcher! Filters 10X the contaminants of the leading pitcher in just seconds. Traditional pitchers use gravity to slowly trickle water over filter granules. 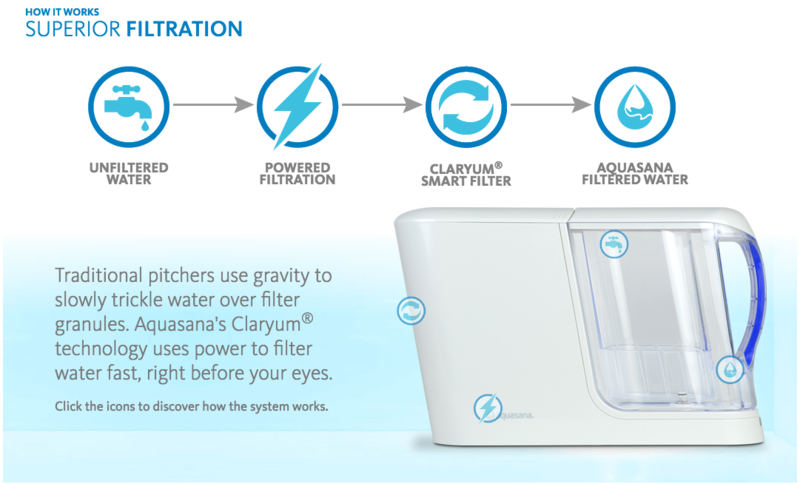 Aquasana’s Claryum®technology uses power to filter water fast, right before your eyes. Catalytic Carbon – Targets chlorine and chloramines. Ion-Exchange – Filters heavy metals like lead and mercury. Absolute Sub-Micron Mechanical Filtration – Captures asbestos and chlorine resistant cysts like cryptosporidium and giardia.